IT Support Services for businesses throughout Somerset and the South West. We know that every business is not the same, that’s why we have four packages to choose from, each designed to suit different business needs. Starting with our Monitor & Protect package, we include everything you might need to monitor the health of your computers, alert you to any issues, and to protect against cyber threats. 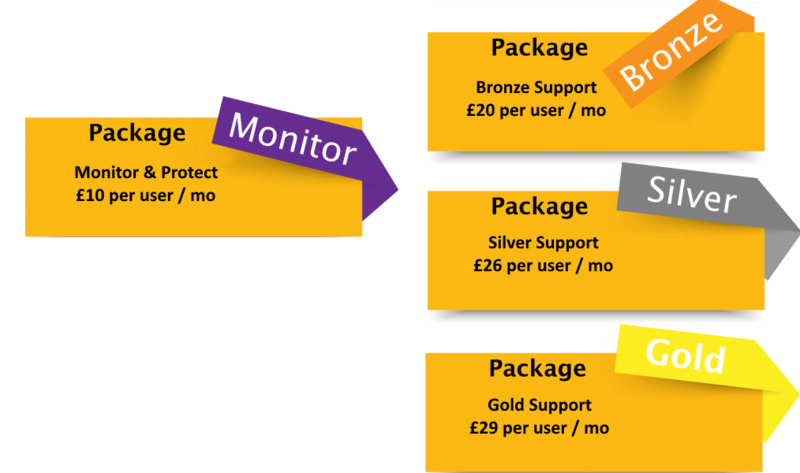 Our Bronze, Silver and Gold support packages include all of the features of Monitor & Protect, plus support & helpdesk options to suit. Get a FREE quote now. Contact us today to discuss your business requirements and we will help find the package that’s right for you.